2. 13 districts with 78 communes in malaria-endemic areas. 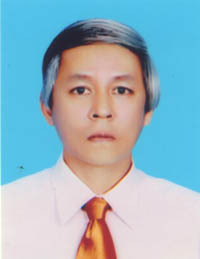 Nguyen Van Van, MD., MSc. 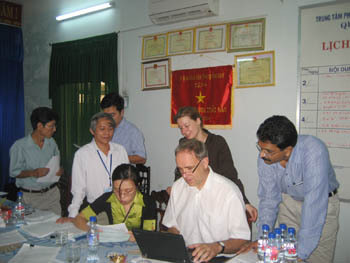 - Conduct scientific research and apply the progress of science and technology to control malaria, endocrine diseases. 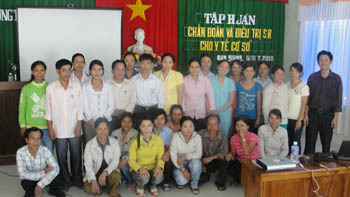 - Organise training and re-training courses o­n specialised skills for health staff according to the plan of the province and the central level. - Coordinate with the provincial centre of health communication and education and the mass media to develop the plan, contents and carry out the launching activities o­n health education for the people. - Manage and make effective use of the resources of the State, the National Health Target Programme and other funds; make prompt liquidation of financial matters according to the regulation of the laws. 1. Malaria morbidity decreased by 18%. 3. Malaria parasite rate reduced by 63.76%. - Certificate of merit of MoH for the excellent accomplishment of the malaria control activities period 2006-2010.